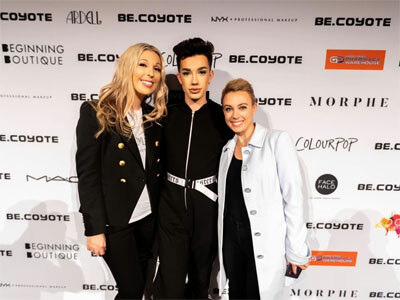 Ellana Byers is the Australian mum making a name for herself all over the world with her cruelty-free mineral makeup line, BE.COYOTE, which she has built into a multi-million dollar company all while juggling two kids! 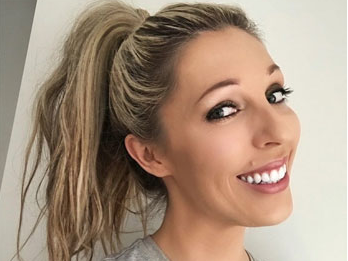 Growing a brand while juggling family life has really allowed me to understand the fundamentals and hard work that goes into building your own business she said. "You really can have it all if you work hard and are willing to put the time in. Find something you're passionate about. I have worked in the beauty industry since I was 19 so I've always had an interest in beauty products. Work around your children. I chose to be a stay home mum and work around my children. This definitely was a struggle at times, especially with a new born and toddler but I really wanted to succeed in both aspects of my life. I wanted to be a hands-on mother and raise my kids and I also wanted to be a business women and run a successful company. You CAN do both. Anything is possible if you are prepared to put the extra effort in and work towards your goals. I would put the kids to bed and then work until 2am each morning. Was I tired? YES. But I had a plan and knew that this is what I temporarily needed to do. As your kids get older, finding time to work is much easier because they go to pre-school or school and this gives you regular time to put towards your business. Do a lot of research and ensure that you can find a place in the market for your business. There are so many amazing business ideas but the trick is to find where you can fit your idea into the current market. Do you have a point of difference? What makes your business stand out from the rest? Stay focused. It's easy to lose focus and become disheartened when you are hit with obstacles along the way, but it's important to stay focused on your goals and push through the tough times. Work, work, work! I think the most important piece of information I can give is be prepared to work A LOT! Say good bye to the 9-5 hours and put most of your time into building your business as much as possible. Use your passion to motivate yourself and drive you to succeed. I want to see Be Coyote continue to grow so I choose to put the extra hours into my brand. The amount of time you put into your business will dramatically influence its growth and success," Ms. Byers said. Ellana started BE.COYOTE after suffering from hormonal adult acne, and seeing a gap in the market for high coverage mineral foundations. BE.COYOTE is hypoallergenic, made with natural ingredients which are free of harsh chemicals, preservatives and parabens. Question: What inspired the concept of Be.Coyote? Ellana Byers: My own skin issues inspired Be.Coyote. I was suffering from hormonal adult acne and was struggling to find a good foundation. Question: How is Be.Coyote different to other makeup brands? Ellana Byers: We offer so much customer support. We understand purchasing makeup online can be daunting, so we make ourselves available through, email, social media and phone to assist the customer in every way possible. We offer free over-the-phone and email consultations and product training. We want to ensure that our customers are 100% satisfied. Question: Which of the products in the Be.Coyote range are your favourites? Ellana Byers: Oh, that's a hard one. I love them all. Question: Can you talk about the difficulties of starting a business in your 20's with two kids? Ellana Byers: I think that there is always going to be difficulties whenever you start your business, it's just about finding your way around them. Starting the business with a newborn and a toddler meant that sometimes it was hard to find the time in the day to allocate for the business. If the kids didn't sleep during the day, it made it a bit harder to get work done. So, I just worked around the fact that I couldn't guarantee each day that I would be able to put in enough time to the business, so I spent each night working once the kids were asleep. Question: How do you manage business and family life? Ellana Byers: Now that the kids are at school, it's much easier. I generally go into the office during school hours so that I am able to wake up with my children each morning and take them to school. Then, I'll pick them up from school and spend quality time with my family. Once the kids go to bed, I will work until around midnight. Question: What advice do you have for young women wanting to start their own business? Ellana Byers: Don't be afraid to do it! If you have the passion and the drive, you should go for it. Question: How did you go about promoting Be.Coyote? Social media makes it so easy to get your business out there. Most of the initial promoting was done through Facebook. Question: How did celebrity sponsorship, especially on social media, contribute to the growth of the brand? Ellana Byers: We have worked with quite a few celebrities over the years which I think definitely contributed to our growth. Question: What's a typical day like for you? Ellana Byers: I feel like I haven't had a typical day for a while. The last few weeks have involved a lot of flying here and there for different meetings and things. Generally, on a normal day, I would wake up and get the kids ready for school then go into work. My husband and I work together, but usually go the entire day without seeing each other until it's time to leave. Once we get the kids from school, we are usually racing off to swimming or something like that and getting home just before dinner. We always eat dinner together as a family and spend this time catching up on everyone's day. Once the kids are in bed and my husband and I have had some time to spend together, I'll jump on the laptop and work until around midnight. Question: What's next for Be.Coyote? Ellana Byers: Lots of new products! One of the new products is a liquid foundation. I have been working on formulating this foundation for 6 years. So much love has gone into creating this product and I cannot wait to finally see it on the shelves!